That is exactly what I thought when I first set eyes on it! I don’t want to monkey around too much, as that would be a bit previous. But there is something of the koala about this, don’t you think? Certainly looks oinky, is it extant? How big is it? Well, I thought this would be all done and dusted by this stage, having only had a quick look this morning. Unlikely to see because of rarity or habitat & nature of the beast? Actually my first thought was dog, now switching to something hounds might hunt (not foxhounds though). Wondering whether wine might be needed here? Ps I don’t have my glasses. I’m not going to say, as I believe I saw this very specimen out and about for the first time a couple of months ago.. So some kind of prehistoric pig thing? its got weird ridge bits over the eye sockets. Is it broken at the front or does the nose really look like that? google throws up some possibilities but that’s not the point. 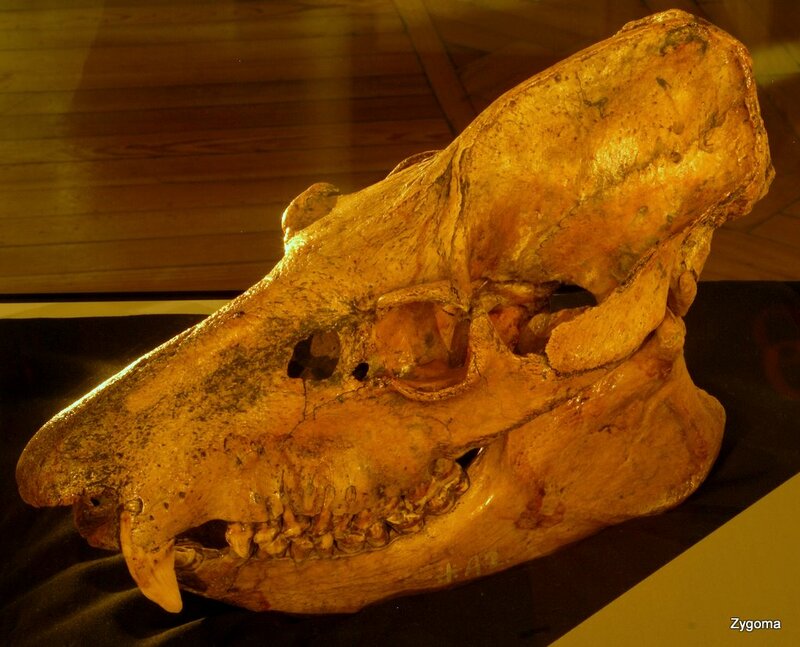 Entelodont? but I don’t think its big enough. there’s no pronounced cheek flange. Its got a pretty big cranium. Not a pig thing – well spotted on the eye sockets, they’re actually pretty diagnostic for identifying the Order this belongs to. I know we had one not long ago, but is this another peccary? Entelodont? Don’t think so. It doesn’t look bumpy enough. You have to admit the koala thing is a bit of a stumper…if it’s a marsupial my guess would be something like a Diprotodon but that is definitely not a Diprotodon. Shame we can’t get a good look at the teeth, either. Am I right in thinking it’s omnivorous?